This past Saturday we focused on the pros and cons of associations as well as how to deal with issues or concerns about the associations. Garth Johnson from MN REO Experts defines association for us. An association is a condition of the purchase agreement. For instance, you have a condo or townhome for sale, the Minnesota Association of Realtors has a form that goes with the contract to the condo or townhome. As a condition of the sale, the buyer gets to review all the association documents, which includes the budgets, bylaws, rules, resale disclosure certificates, and more. Within a 10 day period of receiving these documents, the buyer decides whether they agree with them. If the buyer doesn’t have any objections, then they move on with the purchase agreement and continue on with the financing, but if they do have objections, then they have the right to back out of the purchase in that 10 day period. Associations are sometimes viewed as a hassle or an extra expense buyers/renters would rather not have, but you should consider what the association covers before you pass judgment. Depending on what you are renting/buying, associations may cover heat, electricity, outside maintenance, hazard insurance, up-keep of common areas such as pools and tennis courts, landscaping monuments and even more. Justin Jurkovich from WJ Bradley mentioned one thing to be cautious of when qualifying for a condo or townhome is that it will be counted against you in your debt ratio if they have associations covering heating bills. If you are looking at a single-family residence, heat and water bills would not be considered when qualifying for financing. Q: If you rent a townhome do you still have to pay association fees? A: They do have to be paid by either the renter or the owner, it depends on what was agreed upon in the lease. 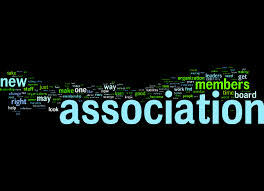 Q: What type of association is easier to work with: homeowner or management? A: Those that are professionally managed are typically more organized and responsive but if they are a smaller association, they can’t afford a management fee so they stick with homeownership and do the best they can. Q: How do you stop getting being billed by an association when you were forced to move out due to foreclosure? A: If you are the renter, you wouldn’t be liable for dues unless it was included in the lease that you were responsible for them. This also may be a case where it was a big management company that was in charge of the association and they just need to bill someone so you need to call that company and figure it out.